We are a pretty photogenic family, we have hundreds of digital pictures saved on our main computer and always look for new ones to take. We started off with a decent digital camera, at the time 3.5 Mega Pixels was considered decent. That camera ended up eventually being placed on water caused by condensation off a cold glass and was ruined (oops!). 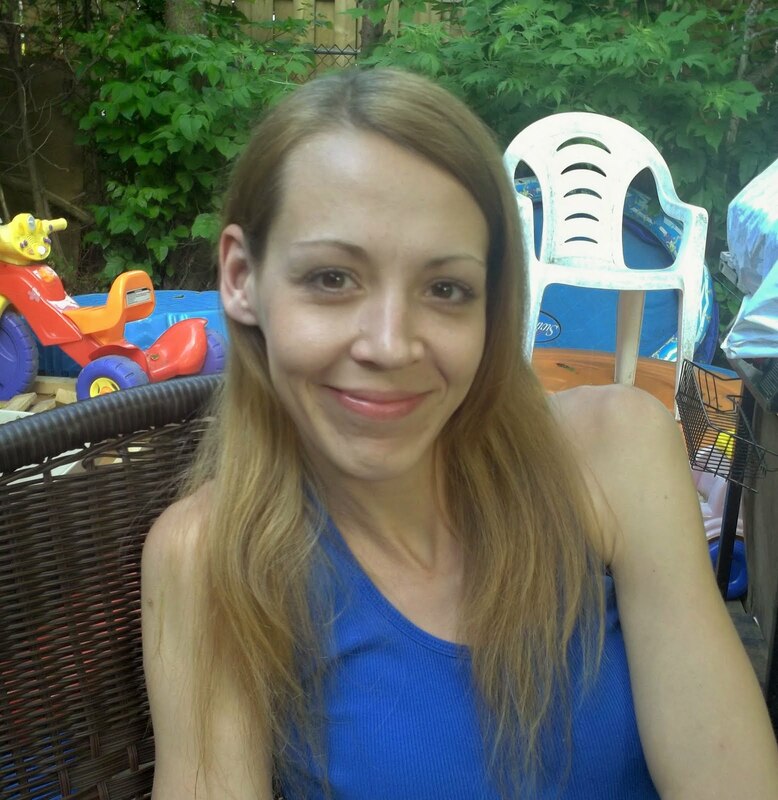 The camera we owned after that was a 12 mega pixel, refurbished camera but after a while the screen let go on us and we ended up just using our smart phones to take pictures. They have great cameras but honestly they can only do so much in certain lighting conditions and if your subject moves (like kids tend to do, a lot) your pictures are blurry. As nice as pictures as these cameras take they are built into a smart phone and they simply aren't made for taking pictures the way we do, catching life with kids as it happens. 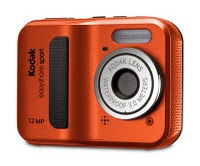 This summer we will be sharing Kodak moments with all of you using our Kodak EasyShare Sport Digital Camera! An amazing camera in one small little package. No more worrying about dropping our smart phones or blurry pictures that could have been really nice. The Kodak EasyShare Sport is compact, sleek and durable, this camera was made for parents! It's small enough to take along in your purse, I like that because I carry everything else in my purse and small enough for little hands to be able to help snap some great shots of their own. It's waterproof and dust proof, it can take pictures under water up to 10 feet! With all the different things we do with kids its hard to capture the good shots if you're afraid of your camera or in our case smart phones, getting dirty or wet. Not with the Kodak EasyShare Sport camera! Perfect camera to take to the pool, beach, camping or just about anywhere life takes you, under almost any conditions. Our back yard on a sunny afternoon. The pictures this camera takes are pretty amazing. 12 mega pixel, crystal clear HD image quality on a 2.4 inch bright LCD screen. It has an internal memory of 35MB that's not a whole lot so investing in a memory card for the camera is a must if you want to get full use out of it. Those can be purchased pretty much anywhere these days from your local Kodak store to Walmart. Such a fun feature for sharing your best Kodak moments as they happen. The camera comes equipped with software already in the device so when you plug it in via usb Windows will prompt you to install the Kodak EasyShare software and optional Kodak Gallery software to easily organize, edit and share your pictures and videos from your computer. Very handy for someone like me who works off a netbook that does not have a dvd drive, I really like devices that are usb based like this one. We enjoyed our first experience with the Kodak EasyShare Sport and can't wait to spend our summer sharing our Kodak moments with all of you! K stops to smile for the Kodak! D playing with his trucks before bed. We haven't had the chance to try the under water feature but summer has just begun, we took it outside a few times now with the kids. We had some fun snapping some shots while they played and ended one day with some family shots before bed. We plan to do so much more as the summer continues. We have so many fun things planned for the kids this summer, it's going to be great to finally start catching those special moments again. Beautiful quality, definitely a camera to consider if you are looking to buy a new one this summer! 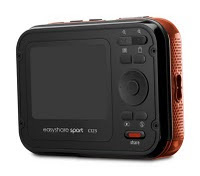 The Kodak EasyShare Sport can be purchased for $79.95 at the Kodak Store online (batteries, wrist strap, usb cable and instructions included).